Sony BDP-S390 review | What Hi-Fi? The senior sibling in this range, the Sony BDP-S790, was well received, and now it’s time for Sony’s most budget-conscious Blu-ray player to step up. The BDP-S390 is compact, with a stylish curved top. There’s no display, but there is a USB port where you can plug in a hard drive or memory stick to play photos, videos or music files. The rear panel has the minimum basic connections: HDMI, coaxial, video and analogue outputs, and an ethernet port as well as built-in wi-fi. Despite its budget price, the S390 comes with the feature-rich Sony Entertainment Network, including BBC iPlayer, YouTube, internet browsing, and entertainment and news apps. You’ll have to invest more to get Skype or 3D functionality, but it does have the ability to play Super Audio CDs. So far so good, but it’s when we play a Blu-ray of Quantum of Solace that the BDP-S390 truly impresses. It would be easy to get lost in the relentless action-packed sequences, but the Sony confidently delivers crisp, clear pictures. Colours are lively without being overblown, and the contrast is well balanced with no harsh glare. We’re not expecting a breathtaking level of insight with a budget player, but there is enough detail to convey a good sense of depth, and the picture is generally lovely to watch. Motion is stable, with no obvious issues to distract from enjoying the film. Sonically it’s not quite as robust or powerful as its Panasonic rival, but things never get too bright, and dialogue is clear and precise. The picture quality remains consistent whether you’re catching up on BBC iPlayer or perusing your DVD collection. High definition shows such as Parade’s End are relatively noise-free with plenty of detail, while the S390 is a competent upscaler of DVDs to its Full HD resolution. 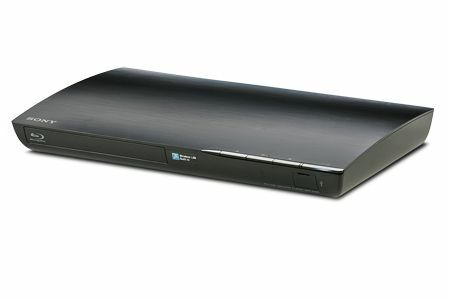 There’s a lot of competition in the affordable Blu-ray player market. This Sony stands out not just by being smartly built, but by delivering a wonderful picture performance that’s remarkable at this price.